We’re big fans of Tentsile and their creative outdoor shelters, whether it be their hammocks, hanging tents, or full-on floating camps. This time around, the outfit is pioneering another fresh concept in outdoor shelter with the Tentsile Universe, a tent that you can set up on the ground, suspend on trees, and even take on the water. 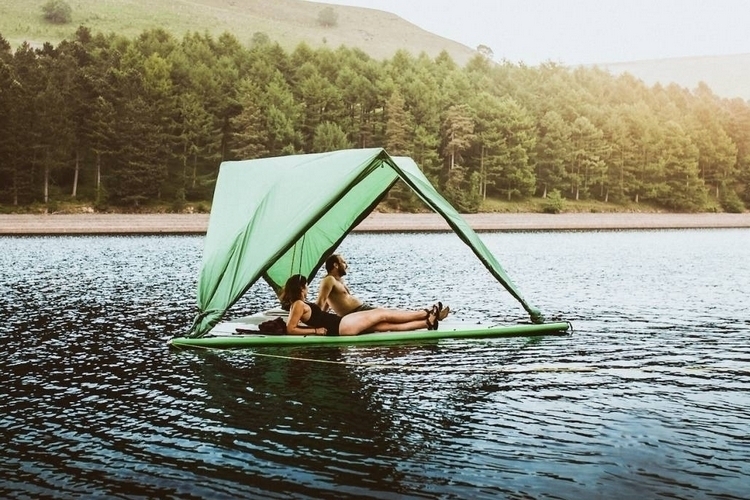 That’s right, it’s a tent that you can turn into a treehouse that you can turn into a water raft, so you can just push your tent from the shore to the lake to do some fishing in the morning. 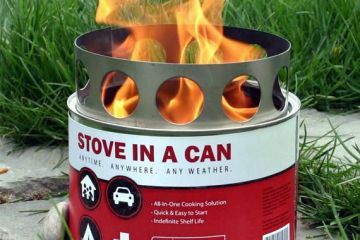 If you’ve been looking for ways to make camping even more fun, this looks like an easy way to do it, as it lets you set out onto the water without having to bring a separate boat along. The Tentsile Universe is a massive tent, covering 100 square feet of fully-covered floor space, which you can expand to 195 square feet when you install the included rainfly. 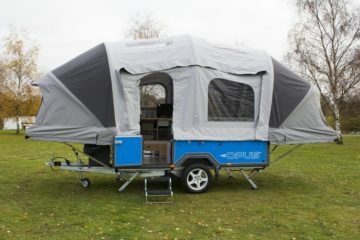 It has enough room to sleep up to five adults, complete with extra room to accommodate their gear, so this is the kind of tent sized for folks bringing their cars into the wilderness. 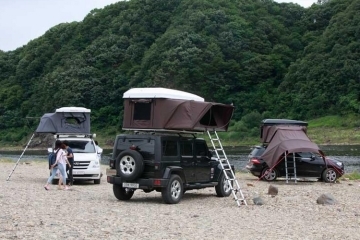 We can’t find the exact height of the roof, but based on the pictures, this thing offers enough headroom to let most folks stand upright inside, so you can be perfectly comfortable whether you’re set up on land, suspended in trees, or floating on the river. Oh yeah, the floor is insulated, too, so it’s not completely cold for those times you crash and fall asleep without grabbing a sleeping bag. 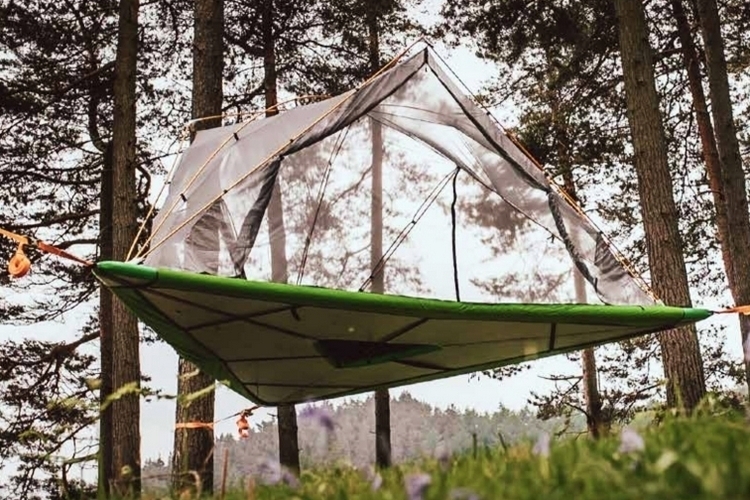 When pitched as a tent or suspended among trees (it uses three ratchet straps), the shelter works much like any of the outfit’s other products. 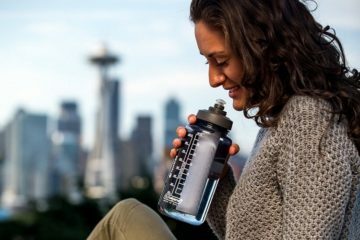 You get sufficient protection from the sun, rain, and the rest of the elements, complete with full mesh cover for keeping all the bugs outside. 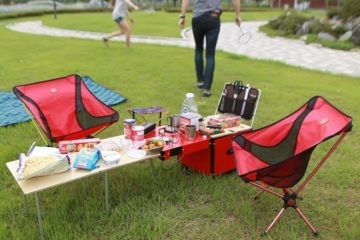 Three foldable vestibules allow you to enter and exit the tent from multiple positions, while a trapdoor on the floor lets you get in and out using any kind of ladder when it’s suspended like a hammock. Yes, that trapdoor isn’t sealed when floating, so you have a large hole in the middle of your watercraft where you can drop in straight to the water. 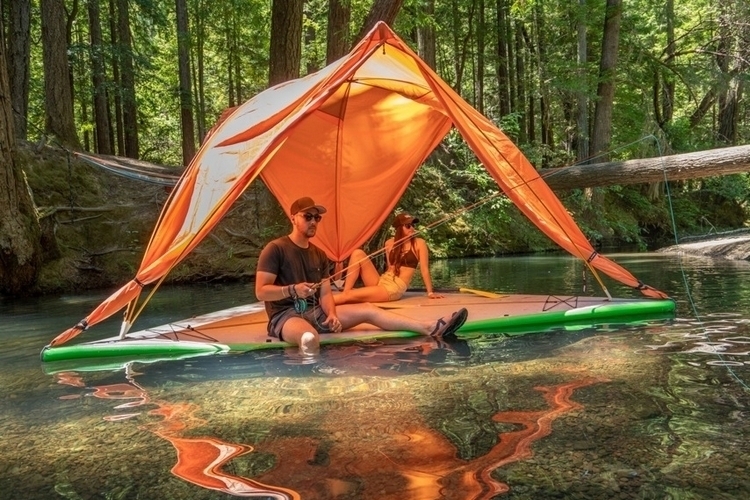 The Tentsile Universe’s big selling point, of course, is the fact that it pulls triple-duty as a functional watercraft. 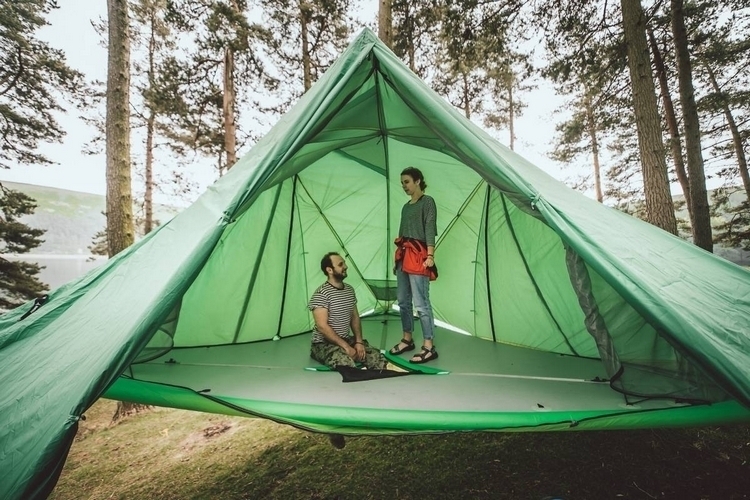 Imbued with a SUP-like design, the entire floor of the tent can be inflated (they recommend 15psi for optimal operation), allowing it to float on water. While you can take it to the water with the tent walls in place, it definitely works better when you roll up the vestibules, allowing you to enjoy the sights while sitting being shielded from the sun. Maximum load, by the way, is 880 pounds, so make sure to keep it along that weight to avoid capsizing on the water. 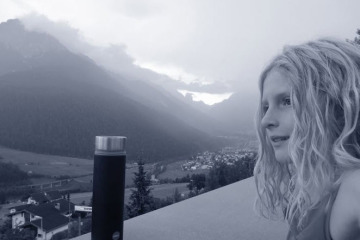 The Tentsile Universe is easily one of the most unique products at the Outdoor Retailer show held earlier this month and is getting a lot of people excited. It comes out in February 2019, priced at $1,999.